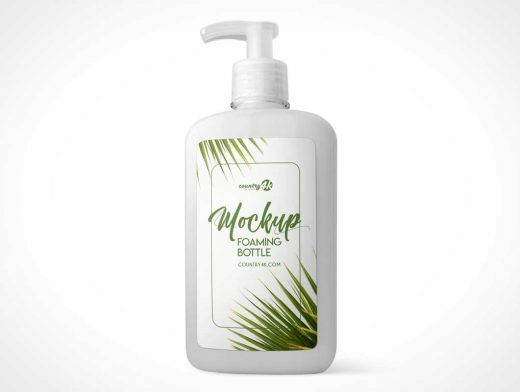 Foaming Bottle Mockup is perfect for the presentation of your label design. PSD is designed in high resolution 4k. Mockup can be used in the beauty industry, namely: soap bottles, gels, foams, conditioners and other cosmetic products. PSD is incredibly easy to use, the layers are well organized. So you can easily change the color of the bottle and cap.